the athletes have started! Stay tuned for the live coverage! Another TriStar ambassador racing today- since the first TriStar111 in Worms he is linked to the series and a great friend of TrIStar family. Had a severe accident back in 1999, luckily survived but was told he can never do sports again. But he came back after 2 years. Second young talent that is also a TriStar Ambassador. Career highlight so far 2nd place at TriStar Monaco 2011, surprising the triathlon community. Several junior victories on the international level and turned professional last year. TriStar Mallorca 2012 – 2nd, TriStar Lyon 2012 – 3rd, TriStar Milton Keynes – 2nd, TriStar Estonia – 1st? Competed in TriStar Mallorca 2011 and now is racing his 4th TriStar in this season. Will that be his first win? Ben is one of the new TriStar ambassadors- young, talented athletes that love their sports and share the same spirit. My name is Bryan McCrystal. I am a former Soccer player turned Triathlete! Since I could walk I have played Soccer. Graduating from my local side Bellurgan Fc and then to senior level at Dundalk Fc I was spotted by Leeds United. I signed for Leeds United in 1998 and played youth and reserve team level for 3 years or so. Also making a few appearences for Ireland at Youth Level. Unfortunatley things didnt work out and I came home in 2001 and continued to play League of Ireland and Irish League. I enjoyed spells we Dundalk Fc, Newry city Fc and Dungannan Swifts. Between Clubs I suffered several Knee ACL & cartilage problems that brought a halt to my playing career in May 2007. Since 2008 I have trained and competed as a triathlete and have enjoyed some great times and a quick transition from a footballer to a triathlete. 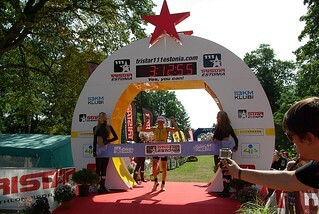 2nd in TriStar Estonia- racing as an AG athlete at that time! We have two birthdays today: #225 Rain Airik (EST) from club TriSmile turns 35 today and #499 Alexander Evsikov (RUS) celebrates his 58th birthday. Congratulations! Mikk Lellsaar, a 27 year old with diabeties has been comatosed twice in his life because of his illness, but this hasn't stopped him from signing up to compete on today's TriStar111 Estonia. Mikk is volleyball player and says that he can't let his illness stop him from realizing his dreams, one of which will be accomplished today. The hardest part for him is going to be the swim where he can't bring any backup carbs with him. He already competed in Tartu Mill triathlon a couple of weeks back and felt great and will aim for even longer distances if everything goes well today. We'll be cheering for them and wish them all the best fun on today's race! Estonian Minister of Fiinance Jürgen Ligi will be on the starting line today. He has already won his AgeGroup in the Estonian Championchips for Half-Ironman in Valga this year and is currently leading the M50 AgeGroup in this years Estonian Cup rankings so Jürgen is no stranger to triathlon. The swim course starts at Pühajärve beach line and every competitor must swim 1km. The team start is given 11 minutes after the individual start. Swimming takes place in Pühajärve, where the water is roughly 21°C. If you haven't yet guessed the water temperature today on our facebook page then you can still do it. We'll measure and post it 9 am. Alexey Tsepajev (RUS) wins by a large margin. Vasiliy Krestyaninov (RUS) is second and Allar Soo (EST) finishes third. Stay tuned for the finish video and check the Live Timing tab to get the latest results. We have a bit over an hour to go until the 33.3 race so it's time to give you some stats. The Oldest athlete on the starting line will be Vaino Vald from Estonia (62) and the youngest Egor Kumin from Russia (13). First off the bike was Arthur Kooser but he got overtaken by Nikita Kotenyov and Kirill Inozemtsev. There were just a couple of centimeters separating the first two with Nikita Kotenyov taking the win after sprinting side by side with Kirill for the last 200m. Laura Kallas from Estonia was the first Girl over the finish line with 15th place overall. It's less than 2 hours to go and it's time to look at some stats for the 11.1 children's race. New research shows that you could ride further, at race pace, with no additional training. In a 2012 test conducted by sport scientists and featured in Cycling Weekly, cyclists were told to ride a 60 mile Sportive at their best speed and were then required to continue as far as possible at the same pace. On one occasion, they used their own brand of nutrition as they would normally for an event of this distance. On another occasion, they used High5 EnergySource (with 2:1 fructose) and followed the scientific nutrition strategy in the High5 Faster & Further Nutrition Guide. 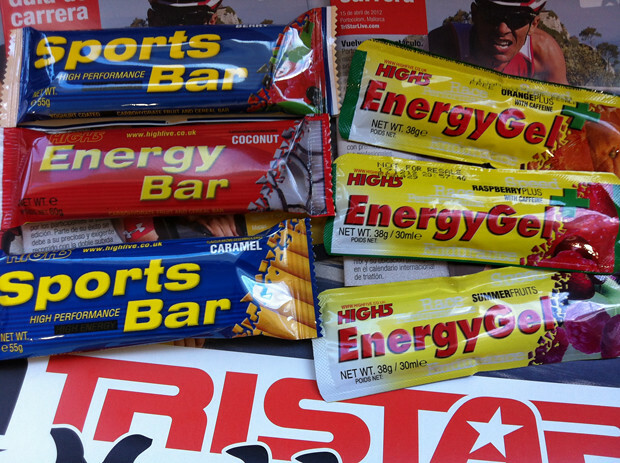 Using High5 the test subjects were able to ride 26% further compared to their own brand of nutrition. For full details and a free Nutrition Guide for your sport visit www.highfive.co.uk. Get your High5 Faster & Further Pack for only £10 (Save 37%) here (http://www.highfiveonline.co.uk/faster-and-further-trial-pack-i7400.html). Use Voucher code H5TRIAL during checkout. UK mainland only. 23.00 Afterparty in official nightclub "Comeback"
After the StarRun we had a little zipline event with the Estonian national cross country ski team vs. some TriStar Estonia athletes. The race consisted of 3 parts. First zipline down the hill, then run up another hill and zipline back to where you started. The skiers took the first 2 places but we got third from Estonian triathlete Aleksandr Latin and one of Sunday's favourites and Lanzarote Ironman winner Tiina Bomann took the women's victory. The third edition of TriStar Estonia starts this weekend in Pühajärve,bringing together more than 1000 athletes to enjoy Estonia’s biggest triathlon festival to date. The weekend kicks off with a 5k charity run - StarRun on Friday at 18h00 followed on Saturday by TriStar 11.1 children’s race at 10h00 and the TriStar 33.3 distance at 15h00. The most anticipated race of the weekend is of course theTriStar111 Estonia on Sunday August 5th at 11h00 that has 566 athletes signed up to cover a total distance of 111km with 1k swimming, 100k cycling and 10k running. There is also a team relay with 61 teams starting 11 minutes behind the individual athletes. There will be a strong compilation of PRO athletes at the start of the Sundays TriStar111 with both Estonian and international competitors racing to be the first to take the finish line at the picturesque Garden of Pühajärve manor. German Thomas Hellriegel will fight to defend his last years victory against Ireland’s Bryan McCrystal (2nd in 2011) and Estonia's Kirill Kotšegarov (3rd in 2011) with strong competition from Ukraine’s Andrey Jastrebov. Racing to take the women’s gold are Finland’s Merja Kiviranta, Tiina Boman (2nd & 3rd last year) and Denmark’s Tine Holst. They will of course have to beat some strong Estonian competition. The 1 loop 1k swim will take place at one of Estonia's most beautiful lakes called Pühajärv (in translation Holy Lake). Swim is a mass start for individuals with relay teams starting 11 minutes after the individuals. After T1 the athletes head for the challenging 100k bike leg which will take them through the magical south Estonian landscape passing by numerous lakes and serves up ca. 1100m of climbing altitude. The bike course also has a highlighted spectator spot on the highest point of the bike course. The run part will be challenging all the same and includes very picturesque views of Lake Pühajärve and crossing the finish line in the beautiful Garden of Pühajärve manor. The region has a lot of sporting pedigree being the favourite place to train for a number of Estonian and international world class cross-country skiers in the winter and hosts a number of different running, cycling and triathlon events during the summer. This year’s Tristar Estonia is the 3rd edition in the TriStar Estonia series and is organized by former Estonian PRO Ironman triathlete Ain-alar Juhanson who promises a great race to all pariticipants and spectators taking part of the sporting festival over the weekend. 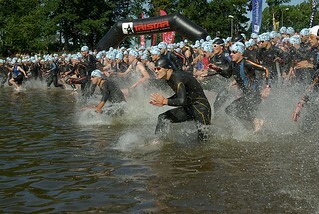 Live Rankings, full results, Leaderboards, Updates and images on www.tristarlive.com during the next 3 days. Coming up: TriStar111 Estonia 2012 Live Coverage this weekend! Welcome to the third edition of the amazing TriStar Estonia! The next live Event covered on TriStarLive.com will be TriStar Estonia on 3/5 August 2012. Remember to follow us on Twitter, and please use the hashtag #tristarestonia to show us what are you doing, what do you expect and what are you seeing there onsite!! !